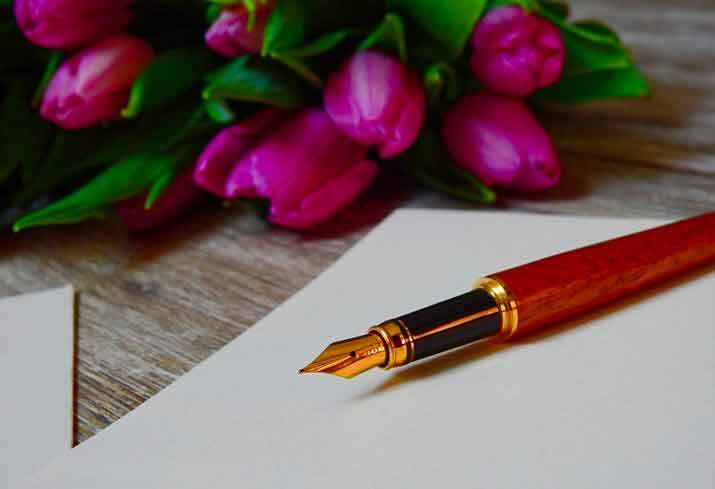 A Eulogy is “a speech or piece of writing that praises someone or something highly, typically for someone who has died.” The purpose of a eulogy is to remember and memorialize a loved one. Eulogies are different than an obituary, which is “a notice of a death, especially in a newspaper, typically including a brief biography of the deceased person.” Obituaries can be read at a funeral service, but a eulogy gives a more in depth glimpse into the deceased life including personal stories and shared memories. Eulogies can be given by family members or close friends. Decide what type of eulogy the family wants. A biographical or personal eulogy? One person to do it all or several different speakers who highlight various aspects of the deceased’s life. Share stories and memories. Hearing wonderful stories, especially ones that the family has never heard before, can leave everyone with warm memories and a new appreciation for the deceased. Pick and choose the stories that share simple truths and fond memories, but don’t be afraid of humor. Humor, if appropriate, gives way to laughter which is great medicine during this time. Develop a theme to base those stories/memories around. A theme gives you focus and direction as you try to pull everything together in what usually takes an average of 3 to 5 minutes. Direct words to the family, all of them. They asked you to take part in a day that cannot be undone. Stay away from a generic speech and give the family the gift of your words and your heart. Write it out and go over it several times. Give yourself the courtesy of having your words in front of you, as you never know what nervousness will cause in the moment. Hearing yourself out loud before the actual moment gives you time to see what sounds good and if you need to make any changes. When the time comes, speak clearly and slowly. Look around and make eye contact with family in the room. Enjoy the moment. Expect the unexpected in the moment, maybe tears you didn’t plan on shedding, silence, or humor gone flat. Remember, this moment isn’t about you, but about the one you are remembering. Excerpts above were taken from the following articles. These articles also include more in-depth examples and steps.